This site is created, designed and maintained by CronoSoft, a company specialized in Custom software development and Webdesign based in Romania. Here you will find many FREE to Download programs right now. 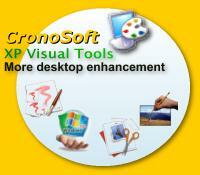 Read more about CronoSoft in About us page. 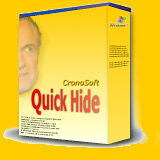 Here you can Download for FREE: Total Control, Quick Hide, Quick Hide XP Edition and our hottest project: XP Visual Tools.